In 1996 the Astroturf which had applied countless world class strawberries to the Longhorns’ finest since 1969 was replaced by natural grass in Texas Memorial Stadium. Also in 96 the first generation of our beloved Jumbotron was installed. The seating structure and amenities remained basically the same way they had been since the early seventies with a seating capacity of approximately 80,000. There was one other change to the stadium though 1996. It was re-christened Darrell K. Royal-Texas Memorial Stadium. That’s quite a mouthful and leads me to wonder: the next time they rename the stadium how are they going to do it? I think I prefer Darrell-Mack Brown Royal-Memorial Stadium to Darrell K Royal Mack Brown-Texas Memorial Stadium but I’m open to suggestions. The readers of these pages know that no one is about to nominate me for the presidency of the Mack Brown Fan Club. And in the wake of the unmitigated disaster of the 2010 season: a season where, if you add up all his comments during and after, you have to conclude that Mack Brown took the year off feeling sorry for himself, I have spent much time reflecting on Mac Brown’ s career at Texas. And even after 2010, if you compare the accomplishments and the contributions of Darrell Royal and Mack Brown I have concluded that Brown should be held in as high a regard as Royal in the history of Texas Football. Brown is to Royal as Lincoln is to Washington. Where as Lincoln preserved the Union, Brown not only preserved but resurrected and enhanced the glorious winning Hook Em tradition of Texas Football. It seems so obvious now but it really was the unique genius of Mack Brown that—unlike Fred Akers and John Mackovic before him—he figured out the way to start re-building Texas football was to bathe himself, the players, alumni and fans in the rich glorious tradition of Darrell Royal’s Texas Football. Mack reminded everyone of the great history and tradition of Texas Football and made the Texas faithful proud and excited about the Longhorns after a 4-7 season and before the first snap had been taken in 1998. Where as Akers and Mackovic were compelled by ego to distance themselves from the Darrell Royal legacy, Brown saw Royal’s legacy as something to embrace, as shoulders he could stand on top off. He recognized that the magic of Royal’s legacy could be leveraged for rebuilding the image of the program in the hearts and minds of the fans, the media and most importantly for recruiting. 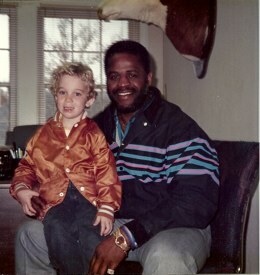 Ricky William’s Heisman Trophy in 1998 was a sublime climax to the first year of Brown’s campaign to re-build Texas Football. I use the word campaign purposely as 1998 would showcase Mack Brown as the best marketing and public relations professional in college football. 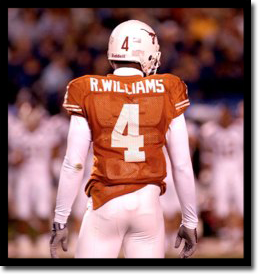 Ricky Williams certainly deserved to win the Heisman Trophy but it was Brown who convinced him to stay at Texas for a senior year when it was expected that he would go to the NFL and it was Brown who put the ball in his hands 30 times a game or more seven times in 98 including 44 times against A&M the last game before the final votes were in. Most importantly it was Brown the charismatic salesman who was the front man and campaign manager for Ricky Williams the Heisman candidate and he was not the least bit coy about promoting Williams as the player most deserving the award. Brown’s skill in marketing and public relations is his greatest strength as a coach and he has used it to stock his football teams with top five talent for the past 10 years. It also landed Texas a controversial bid to the Rose Bowl in 2005 which was Brown’s and Texas’ first BCS Bowl bid and was a spring board to the school’s first National Championship in 35 years. It wasn’t always a bead of roses for Brown between 1998 and the National Championship 2005 season. The very first game of the 1999 season exposed some of Brown’s greatest weaknesses as coach. North Carolinas St. blocked three Texas punts, returning two of them for touchdowns and upset a Texas in their home opener 23-20. Special teams have always seemed like and after thought for Brown. Every year he’s been at Texas there has been glaring weaknesses in the kicking game. Lack of a kicker who consistently produces touchbacks and terrible kick-off coverage have been a hallmarks of Brown’s Texas teams. Game planning and game day adjustments have also been average at best and it showed in that first game of 1999. How could you not make adjustments to prevent more than one blocked punt in a game? Then there was the Chris Simms era which highlighted Brown’s tendency to coddle players and earned Texas a reputation of having a country club atmosphere and for being a soft team. Remember the infamous press conference where Brown curtly answered a question that was directed to Chris Simms. This coddling reached a climax in the 2001 Big 12 Championship game when Brown didn’t yank Simms in favor of Major Applewhite until he had thrown 3 interceptions and fumbled once all in the first half digging to deep a hole for Texas to climb out of. A win would have put Texas in the National Championship game. Then there was Brown’s phone call to the Texas season ticket holder rebuking him for publicly criticizing Brown in comments to a New York Times reporter revealing his over sensitivity to criticism. Another thorny issue for Brown was a five game losing streak against Oklahoma with two especially humiliating losses, in 2000, 63-14 and in 2003, 65-13. Critics said the game plans were too conservative, unimaginative and looked like Brown was playing not lose instead of playing to win. 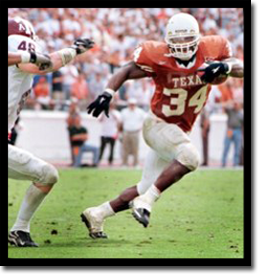 In 20001 freshmen Cedric Benson didn’t see the field in a game where Texas failed to score a touchdown. Evidently Brown thought the Oklahoma game was too big a stage for a freshman. Benson started the next game and as they say the rest is history. Amazingly Cedric Benson, Roy Williams and B.J. 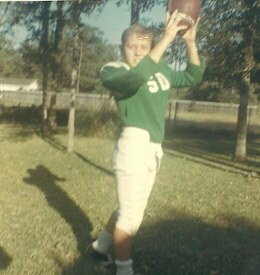 Johnson never scored a touchdown and never tasted victory in a Texas-OU game. Entwined in all of Brown’s controversies at Texas was Greg Davis. I think the calls for the firing of Greg Davis started all the way back in 2000. I found it ironic to hear people screaming at Greg Davis during games in Memorial Stadium. I didn’t know who Greg Davis was until fans started calling for his head. 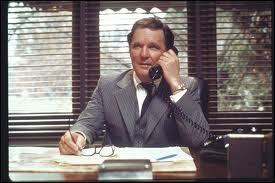 When I found fault with coaches I was thinking Mack Brown while most others were thinking Greg Davis. I guess people just couldn’t bring themselves to be directly critical of the charismatic Mack Brown. Brown was steadfast in defending Greg Davis no matter how many sideways passes were thrown time and time again calling Davis the best in the country. Davis survived long enough to have Vince Young run his offense winning Texas a National Championship and an Offensive Coordinator of the year award for Davis in 2005. Despite these issues the first six years of Brown’s tenure at Texas produced 60 wins and the beginning of streak of nine seasons with 10 or more wins unmatched by any other team in the country during that time span. During those first six years Brown laid the foundation for Texas to become one of the elite programs in college football in a class that only includes Florida, USC, Alabama, Oklahoma and LSU in my opinion. It’s getting boring and repetitive but I will mention that because of Brown’s football program Texas is number one in revenue generated by a college athletic program. Voila the Longhorn Network. How ironic for the Longhorn Network to premiere on the heels of a 5-7 season, Brown’s nadir at Texas. I think the 2010 team was the perfect storm of all the weaknesses of Brown’s program. The team was soft, there was little accountability for players or coaches and the game plans were bland to say the least. 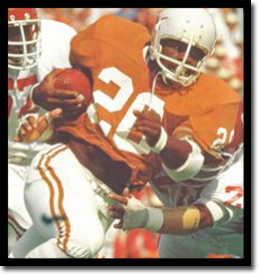 The first three offensive plays for Texas in the Oklahoma game encapsulated almost all of the criticisms heaped on Brown during his career at Texas. First down, sideways pass completed for a loss of two yards. Second down, a sideways pass completed for a loss of 2 yards. Third down and 14 to go, a 7 yard completion to the tight end. Soft, unimaginative, afraid and playing not to lose against Oklahoma. Mack Brown cleaned house after the 2010 season and rightfully so. The house cleaning swept away Greg Davis, Browns running mate since his days at North Carolina, the lightning rod for criticism of the program and the man who Brown called the best offensive coordinator right up until the time he fired him. Brown has never publicly said a word about the end of his coaching relationship with Greg Davis. 2011 is critical year not only for the Texas Football program but for Mack Brown’s career, his legacy at Texas and how he will be remembered. Will 2011 be the beginning of another run of 10 win seasons, BSC Bowls and possibly Brown’s second National Championship? Or will it be the beginning of the last chapter of his career ending like Bobby Bowden’s at Florida St. where he stayed too long, ending sadly and without dignity. There’s an old vaudeville expression. – A good performer knows when to leave the stage, satisfying them and then departing with them wanting just a little bit more. I have been obsessively reading blogs, newsletters and newspaper articles this week on the subject of Longhorn Football. Around 10:30 Wednesday night, I asked myself, “why am I reading basically the same analysis by different writers and fans over and over again?” Perhaps I could be doing something more useful with my time. Yet, on Thursday, I still was spending too much time combing through blogs that were regurgitating the same information that I had read earlier in the week. This morning it dawned on me why I was obsessed with this stuff. 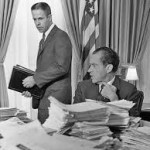 I’ve been looking for the “smoking gun”–the equivalent of the June 23, 1972, taped conversation between Nixon and Haldeman–the key evidence that pinpoints where to place the blame for the woes that have afflicted the Texas football team over the last three–plus years. Further, I wanted it to point in one direction. Mack Brown must be looking for the smoking gun, too. I wonder what he will do if and when he finds it. A hallmark of Mack Brown’s Texas teams has been their ability to bounce back quickly from humiliating blowout losses. Here’s a brief re-cap. In 2000, lost to Oklahoma 63-14, then won the next week at Colorado 28-14, and finished the rest of the season without a loss. Final record: 9-3. Key players on offense for Texas during the post-Oklahoma winning streak were: Major Applewhite, Hodges Mitchell, B.J. Johnson, Roy Williams, and Chris Simms. On defense: Casey Hampton, Cory Redding, and Quentin Jammer. In 2003, lost to Oklahoma 65-13, then won the next week at Iowa St. 40-19, and finished the rest of the regular season without a loss. Final record: 10-3. 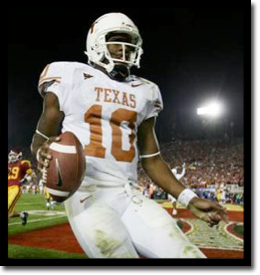 Key players on offense were: Vince Young, Cedric Benson, and Roy Williams. The defense was led by Brian Robison, Derrick Johnson, Michael Huff, and Aaron Ross. In 2007, lost to Kansas St. at home 41-21, and the next week lost to Oklahoma 28-21. After that loss, they went on a five-game win streak before finishing the regular season with a loss to A&M. 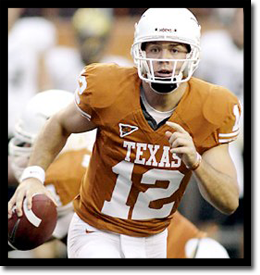 Texas was led by Colt McCoy, Jamaal Charles, Quan Cosby and Jordan Shipley on offense. On defense,Texas had budding stars Brain Orakpo, Sergio Kindle, and Roy Miller. Final record 10-3. In 2010, lost to UCLA at home 34-12, and the next week they lost a close game to Oklahoma 28-20 that they were in to the end. In the next game they upset #6 Nebraska on the road 20-13. That victory turned out to be a “dead cat bounce” as they then lost four. Final record: 5-7. Last year, lost to Oklahoma 63-21, then won the next week at home against Baylor 56-50, and won three in a row after that. Final record: 9-4. You can see the tendency in Brown’s teams to suffer seemingly inexplicable lapses in lopsided losses, sometimes in games where they were comfortable favorites. Much has been said and written about this issue with Brown’s Texas teams. I don’t wish to tread over that ground here. In discussions with friends and on talk radio this week, I have heard predictions of the Mack Brown Bounce Back for Texas this week. Maybe. But for the 2013 Longhorns, who will fill the roles on offense of Major Applewhite, Vince Young, Colt McCoy or even Cedric Benson or Jamaal Charles? On defense, who’s the 2013 equivalent of Casey Hampton, Cory Redding, Brian Orakpo, or Quentin Jammer? Mack Brown needs to find the answers to those questions and fast, if he’s going to have this team doing that old dance craze the “Mack Brown Bounce Back” in 2013. Speaking of dancing, I’ve been composing again and I’ve written a little ditty for this week. Send coaches and consultants Huh! Send coaches and consultants Uh! Send coaches and consultants Ohh! I don’t want to be a post Alamo Bowl Grinch. Texas’ stirring come from behind win was huge for the fans in attendance, David Ash and most of all for Mack Brown. But let’s face the facts. This big Alamo Bowl victory was a fourth quarter jaw dropping Jaxon Shipley behind the back catch and another opponent’s timely dropped interception away from being another Longhorn pratfall. In Texas’ four first quarter possessions they ran 14 plays for a grand total of nine yards. That’s not going to draw Major Applewhite any comparisons to Don Coryell. 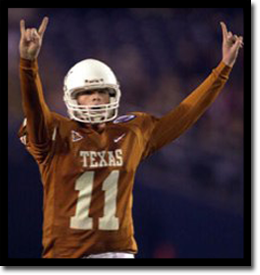 In fact the Major’s debut as the Longhorns Offensive Coordinator bore a frightening resemblance to the Greg Davis era. Heck his very first play call was a Greg Davis signature sideways pass that gained three yards. Texas’ final offensive statistics were vintage Greg Davis, 241 yards passing, 117 yards rushing (64 on Goodwin’s reverse) for a pedestrian 358 yards of total offense. So here’s the deal. The Texas offensive line couldn’t run block in the glory days of 2008-2009 and they can’t run block now. The Horns have landed the country’s number one running back recruit the last two years but they still can’t run the ball effectively. After three years of failing to build a power rushing offense Mack Brown has to come to grips with the fact it’s not going to work with the offensive line he has coming back in 2013 and the culture he’s created at Texas. I wouldn’t be surprised if Malcolm Brown or Joe Bergeron transfers. So Brown shouldn’t waste any more time trying to build an SEC style power rushing attack. If David Ash can consistently perform like he did in the 4th quarter against Oregon St. and Jaxon Shipley continues to be the perfect clone of his older brother, sprinkle in a little Mike Davis (if he doesn’t head to the NFL) and in 2013 you’ve got the ingredients for a spread/zone read offense that should be good for at least 11 wins. How many points do you think Texas could have scored against Oregon St. if they were running a pass oriented spread offense from the get go? The Alamo Bowl win didn’t exactly allay concerns about the Texas defense. Not counting sack yards lost, Oregon St. averaged 4.5 yards per carry. For the season they averaged 3.7 and were 102nd in the country in rushing. Paraphrasing Dean Wormer, “Not being able to run and not being able to stop the run is no way to go through life son.” There are some promising young players in Kendall Thompson, Peter Jinkens, Tevin Jackson and Malcolm Brown. 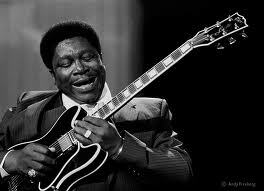 But it remains to be seen whether this talent can be molded into a consistently strong unit. Sorry not to be more sanguine on New Year’s Eve and call me a glass half empty guy but Mack Brown and his staff still have a lot of “fixing” to do to transform this team into something more than a 9-4 satisfied with winning the Alamo Bowl team in 2013. Happy New Year. Let’s get together in 2013. First of all I would like to thank all of you have taken the time out of your busy schedules to play and to give me an excuse not to go to church on Sunday mornings. 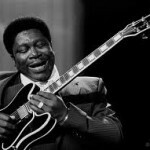 It was a record breaking year in terms of audience participation for the ever expanding growing by leaps and bounds Willie Earl’s Longhorn Blog and Over/Under contest. I couldn’t have made it happen without all of you. 1. David Frink posted a perfect 10 in the New Mexico game. It was the only perfect score of the year. 2. In the first three games of Mark Adams rookie year he won twice and finished second once. Mark finished the year with two wins and two second place finishes. 3. Helen Frink striking a blow for gender equity won twice and was one of only three multiple winners for the year. I never helped. I swear. 4. Jerry Smith for the fifth straight year won at least twice. Now, without further ado. With his win in the Alamo Bowl with nine correct answers, giving him four wins for the season the 2012 Over/Under Championship Trophy goes to David Frink. I can remember not so long ago when our parents wondered if David could count the correct change for bus fare and find his way home. Now look where he is! There hasn’t been this much excitement around here about a new offensive coordinator in years. Two years to be exact. It seems like the only excitement associated with Horns these days involves coaching changes and potential coaching changes. Will The Major make a difference? On the margins at best. Don’t get me wrong I’ve always been a huge Major fan and Applewhite has been our family’s nom de plume for waiting lists at restaurants since 1998. It beats the hell out of Frank. Anyway, unless The Major can actually play quarterback, do some run blocking or make tackles I don’t think he will be able to change much. And no I don’t think his ascension to OC puts him in position to succeed Mack Brown. Are you concerned that Texas will lack motivation and preparedness for Oregon St. in the Alamo Bowl? If so Mack Brown’s bowl record suggests that you shouldn’t be. Brown’s Longhorns are 9-4 in bowl games and have won five of their last six. 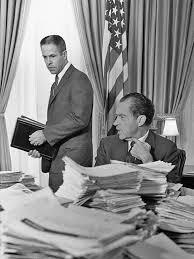 Darrell Royal’s career bowl game record is 8-7-1. Bowl game planning and preparation is a specialized coaching skill and Mack Brown excels in this area. I have no idea how good Oregon St. is. I haven’t seen them play a down or even a highlight from one of their games on ESPN. They are number 13 in the BCS rankings. Texas is 24. Oregon St. is 2-2 versus top 25 teams. Texas is 1-3. Their signature wins are over Wisconsin and UCLA. Texas’ signature wins are over Oklahoma St. and Texas Tech. Two out of Oregon State’s three losses were to #5 Oregon and #14 Stanford. I would call these quality losses. The Stanford loss was on the road 27-23 and Oregon St. led going into the fourth quarter. I conclude from my back of the envelope analysis is that Oregon St. will be the third best team that Texas will have played this year behind Kansas St. and Oklahoma. If Texas beats Oregon St. it will be their most impressive win of the year. I’m sure it’s old news to you that our Longhorns, according to Forbes Magazine, are college football’s most valuable team worth a $133 million up $4 million from last year. In 2011 the football team generated $32.4 million in ticket sales. Do you get the feeling that maybe while we’re counting wins, losses, championships and BCS Bowl invitations, Dodds, Powers, et al are counting the long green? Thus our cognitive dissonance over Belmont Hall’s seeming lack of concern over wins and losses on Saturdays. But, you say, if Texas keeps putting up mediocre 8-5 seasons their value will decline. I’m not so sure. Michigan and Notre Dame are numbers two and three on the list of most valuable teams and they have struggled on the field the past five years or so even more than the Longhorns have (the Domers breakthrough in 2012 notwithstanding). I don’t know anyone who’s cancelling their season tickets and Texas managed to sell almost all of it Alamo Bowl ticket allotment. Looks like to me, win lose or draw the Longhorns will continue to rake in the money because the money has nowhere else to go. People like to party at and around college football games and in our economically blessed state the people can’t get enough of it. Party on Garth. Fire Up for the Alamo Bowl! This just in. Two Texas players have been accused of sexual assault and have been sent home today. I won’t pass on the rumors of who the players are. Anyway it looks like the Horn are fired up and ready to play! The concluding paragraph of my Wyoming Post-Game article posted on September 2 predicted an 8-4 regular season finish. Thank you very much. Also I think the honorary title, “The Duke of Blandia, ” that I bestowed on David Ash near the beginning of the season is wearing very nicely. I thought Texas was mediocre during the first game in 2012 versus Wyoming, but at halftime of the Kansas St. game I thought Texas was going to win. They were playing their best game of the year at that point. But for Texas over the last three years eventually their mediocrity rises to the top. Mediocre doesn’t win on the road against a 10-1 number 6th ranked team in the country. Texas is mediocre because the quarterback play is flawed, the offensive line can’t run block consistently, the defense is bad and the special teams, as usual, are bad. Sure, Texas has some very good players such as Jaxon Shipley, Mike Davis, running back Malcolm Brown, if he can stay healthy, and Alex Okafor. There are many other good players, some of whom have been grossly underutilized such as Daje Johnson, D.J. Monroe, defensive tackle Malcolm Brown, and linebackers Tevin Jackson and Peter Jinkens. I’m sure there are more players you could add to these lists. Still, with all the good players Texas has, they’re a mediocre team and have been for three straight years. That’s on Mack Brown, pure and simple. The Longhorn Football team is Mack Brown’s Texas Football. If you don’t believe me reference the website mackbrown-texasfootball.com. Mack Brown is to Texas Football as Jerry Jones is to the Dallas Cowboys. If you think that’s a flawed analogy tell me who you think has more power over there than Brown. One of the big money donors? Only if there’s a consensus among them. DeLoss Dodd? Please. Bill Powers? I’ve read that he and Dodds don’t want to take on the hiring of a new football coach at this late stage of their careers. Good to know they’re still making the tough calls and earning their millions in salaries. For better or for worse, Mack Brown is the Texas Football Head Coach for as long as he wants to be. In my opinion the whole situation is extremely dysfunctional. 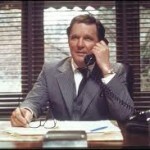 So it’s pretty much up to Mack Brown to decide if he returns for the 2013 season. I’m almost certain that he will, but if he were to decide to leave he would make that decision this week because any later would put Dodds and company behind schedule for making a hire for 2013. Don’t expect that announcement. I have had hundreds of conversations about Texas Football with a longtime fan, alumnus, diehard Mack Brown supporter and one of the smartest people I know. His constant refrain is that Texas fans have a sense of entitlement and unrealistic expectations. I don’t know how he can ignore the fact that it’s Mack Brown who has consistently said, until the last two years, that, “We expect to compete for the National Championship every year.” In August of this year he said, “We’re good enough to beat every team on our schedule.” If Mack Brown and U.T. would like to lower the bar on fan expectations let them say that we’re de-emphasizing the Football program and lowering the ticket price for games such as New Mexico to $50 instead of $85. Also let them say that we’re going to pay the head football coach a measly $1 million a year instead of $5.5 million. Hey, that might be a way to get Mack Brown to step aside. Short of a couple of more losing seasons after 2010 I never thought I would see Mack Brown lose the fan base. Based on my unscientific research he has. All but one of the most ardent Mack Brown fans I know now think Texas would be better off if he stepped down. Let’s call 80% in favor of having a new head coach in 2013. The good news for Mack is the only thing he has to do to get his base back is to beat OU in 2013. Is that too much to ask? The Kansas St. Over/Under played like a difficult U.S. Open Course with a scoring average of 4.7. As in golf the tough scoring conditions in Over/Under produced a fundamentally sound veteran winner. Jerry Smith wins the regular season finale with 7 correct answers. It’s the fifth straight year Jerry has posted at least on victory. In fact Jerry has won at least once every year Willie Earl’s Over/Under has been existence. An eclectic trio if Jill Zeitz, Clayton Frink and Greg Swan tied for second place with 6 correct. Willie Earl will post the season standings sometime this month before the Alamo Bowl. The Alamo Bowl will serve as the Over/Under Championship Game and all players will be seeded and have a path to the Championship. The lower seeds will have a more difficult path.